It may come as no surprise that here at VerticalResponse, we love email. After all, it’s what we do! But there’s more to it than that — email is a killer marketing tool. In a recent study, the Direct Marketing Institute found that 48 percent of consumers prefer to hear from companies on a weekly basis, and that email marketing delivers a whopping 4,300 percent return on investment (ROI). That’s $43 ROI to each $1 you spend on your email campaigns. Pretty good, right? We think so too. When you send an email for your business, you expect it to simply appear in your subscribers’ inboxes, right? Well, there’s a lot more to getting email delivered than you may expect. Email Service Providers (ESP), like VerticalResponse, do a lot to ensure your email makes it to the inbox, but you play a part in delivery, too. 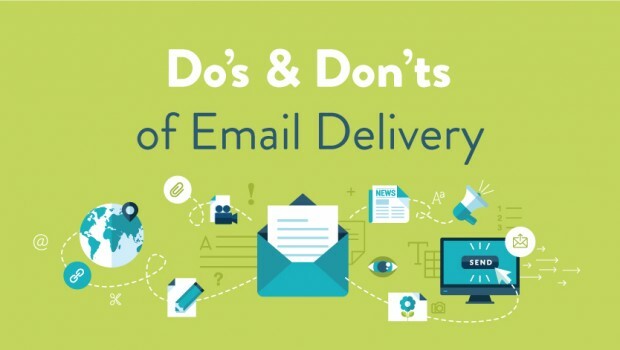 This infographic outlines do’s and don’ts you should follow to help your emails make it into the inbox, rather than the dreaded SPAM folder. Learn more about email delivery in our Ultimate Guide to Email Delivery – To the Inbox & Beyond.